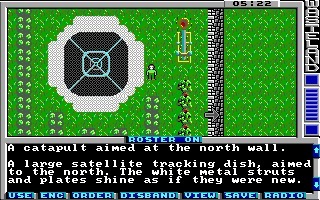 Wasteland is a post-apocalyptic RPG developed by Interplay and published by Electronic Arts in 1988 for the Apple II, DOS, and Commodore 64. 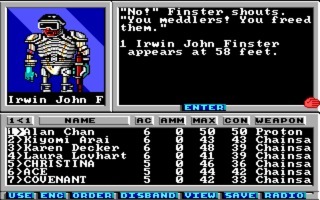 Wasteland is a post-apocalyptic RPG developed by Interplay and published by Electronic Arts in 1988 for the Apple II, DOS, and Commodore 64. It was later followed by Wasteland 2 in 2014, with a few failed sequels in between. 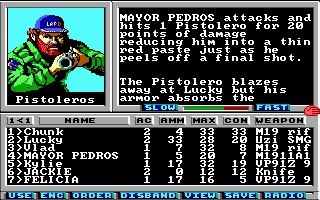 Clearly this is a precursor to Interplay’s later series Fallout, one of my favorites. 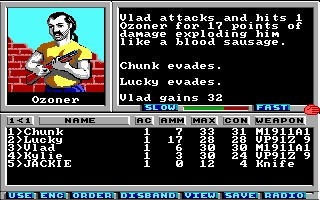 In the aftermath of World War III, you are the leader of a band of rangers travelling the wasteland. You travel around on a top-down map with random enemy encounters possible, and utilize a point-and-click interface. Combat itself is turn-based and you can see a little picture of your enemy as you fight them. There are also towns to visit at which you can acquire party members, items, and information. 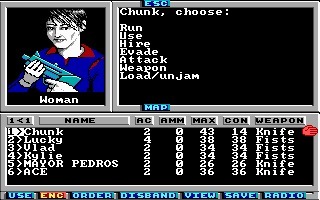 The feature that really made Wasteland stand out was its skill system. You can raise your character’s skills and attributes, but they will also have an effect outside of combat. These attributes include Strength, Dexterity, Charisma, etc. Your character can also learns skills like climbing, lockpicking, and Medic. The skills can be used to help with combat (weapon proficiency) but they can also be utilized to solve certain dilemmas in a multitude of ways (like opening a locked gate). 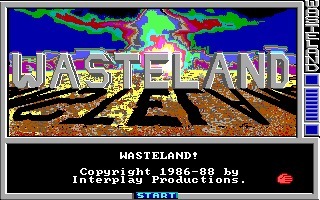 Another standout feature of Wasteland was the environment continuity. Meaning that whatever you have done in an area stays that way, rather than resetting itself. The game is vast, varied, and difficult. Wasteland was critically acclaimed upon release and won multiple awards. It remains a fan favorite and Wasteland 3 is supposedly slated for release in 2019. 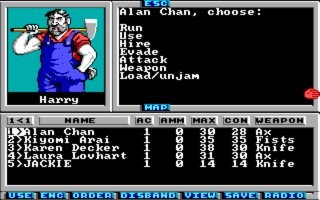 RPG fans should definitely play classic of the genre.